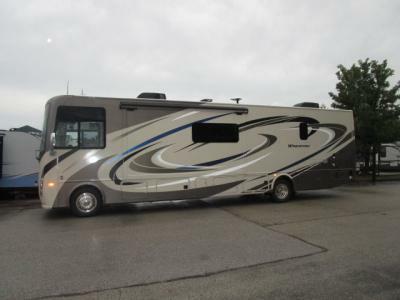 Enjoy any journey both near and far in this Windsport class A gasoline coach. 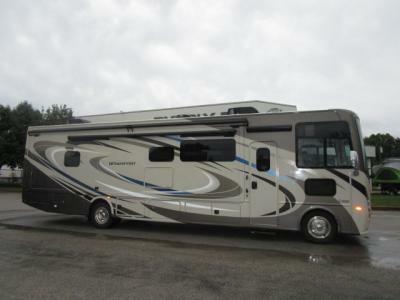 This model features a spacious interior thanks to a full wall slide, and a second slide on the opposite side. With all the furniture, plus theater seating with footrests, you and your family will enjoy any day inside. 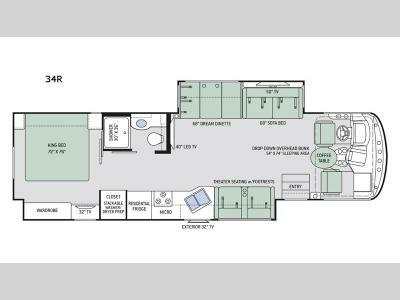 The full kitchen and complete bath make your journey that much more enjoyable allowing you to choose to keep moving down the road or stopping for a break. The exterior 32" LED TV and 18' awning with LED lighting makes it fun entertaining in the evening outdoors. When it's time to turn in for the night there is sleeping space for seven to eight people including the master bedroom's king size Denver mattress that is 72" x 76" that you will surely enjoy!